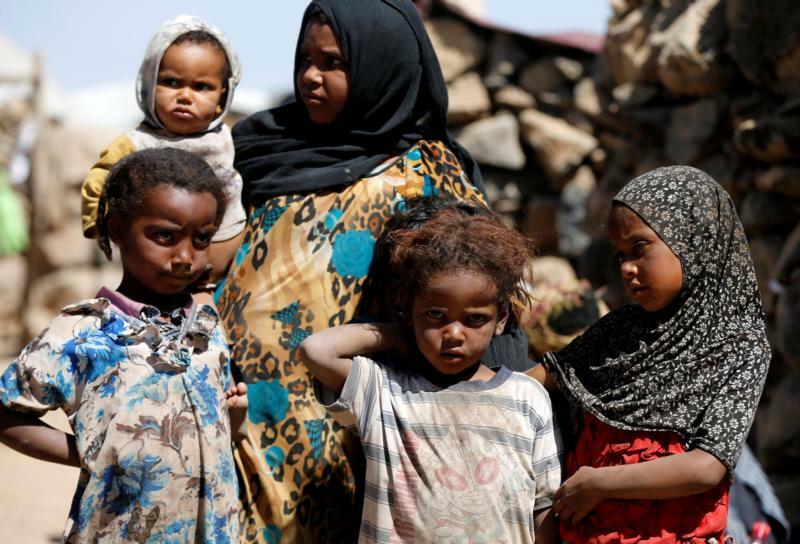 AMMAN, Jordan (CNS) — CAFOD, the Catholic international development charity in England and Wales, has joined other nongovernmental organizations in calling for prayer for the desperate humanitarian situation in Yemen. In a statement provided to Catholic News Service, CAFOD said it has joined with Christian Aid, Islamic Relief, Tearfund and World Vision UK urging Christians and Muslims to pray for an end to the world’s “worst humanitarian crisis.” CAFOD is the overseas aid agency of the Catholic bishops of England and Wales. After nearly four years of war in Yemen, more than 14 million people are facing starvation and 85,000 children may have already died from extreme hunger since 2015. The United Nations says one child dies every 10 minutes in Yemen. There is some hope that a cease-fire brokered in December may help to restore Yemen’s key port of Hodeida to allow food, medicine and humanitarian supplies into the country at the tip of the Arabian Peninsula, CAFOD said. On Jan. 28, Martin Griffiths, U.N. special envoy to Yemen, pressed the warring sides to carry out a quick troop withdrawal from Hodeida. He said the truce’s proposed timelines had slipped by while the country stood on the brink of famine. “We see immense suffering in the faces of people in Yemen, of the children whose young lives have been stunted by malnutrition, and of those who find themselves homeless because of the conflict and in need of the basics of life — food, clean and safe water, and shelter,” said Chris Bain, CEO of CAFOD. “When a family receives a food parcel, hygiene kit, or medical attention, dignity and a sense of hope (are) restored. We hope and pray that the human suffering will end. Let us continue to keep the people of Yemen in our thoughts and prayers,” Bain said. Fighting between Iranian-backed Houthi rebels occupying Hodeida and government militias supported by Saudi Arabia and the United Arab Emirates has threatened to push the country into a full-blown famine. Up to 85 percent of food passes through the Hodeida port. Aid workers report rising numbers of internally displaced Yemeni civilians, some of whom live on breadcrumbs and leaves. Medics have said the number of deaths linked to food-related factors is spiraling. “We need to hear the people of Yemen’s cries, and to act. We each have a choice on whether we support our neighbors or stay silent,” said Nigel Harris, CEO of Tearfund, a British Christian charity. “Join us in lifting up the people of Yemen, pray for those suffering daily, for families torn apart, for our partners on the ground bringing hope and relief. We have to believe that everything is possible with God,” Harris appealed. Faith groups, including the Anglican St. Anselm Community at Lambeth Palace in London, are devoting their evening prayer Jan. 29 to pray for the people of Yemen.